U.S. 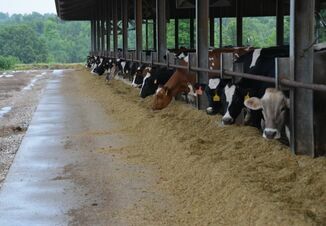 Dairy exports bumped-up last year, after three consecutive years of decline. Across the board, dairy export values were higher, but large gains were seen in butter, a 48% increase, and whey, up 30%, carried the sector. In addition to higher values recorded for dairy products, live dairy cattle export values also more than doubled year-over-year. That has been a growing trend as U.S. genetics remain in high demand. Canada posted a 131% increase in the dollar value of female purebred animals, while both Turkey and Vietnam purchased over $11 million, where in previous years that number was zero. The growth in the live cattle trade is not limited to female dairy animals. 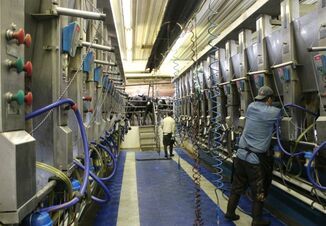 The value of male dairy cows increased by 72% in 2017. Mexico, Japan, Vietnam and the Dominican Republic all saw large jumps in purchases compared to 2016 levels. Net exports are the difference between the value of exports and imports. The U.S. dairy sector has been a net exporter since 2007 except in 2009, and at the highest point (2014) was positive by more than $3 billion. The decline in export values over the last three years has washed away nearly $2 billion of that net export value. For some dairy products the U.S. has and will likely remain a net importer, but in 2017 net export value came roaring back and added $650 million almost exclusively from cheese and whey sales. Compared to the peak in 2014, the story of declining net exports was not exclusively due to reduced export values. From 2015 to 2017 import values fell by nearly $300 million compared to the $2.1 billion decline seen in export values from 2014 to 2016. In 2017, U.S. imports of live dairy cattle dropped by 47%, followed by 7% declines in cheese, casein, and natural milk products. 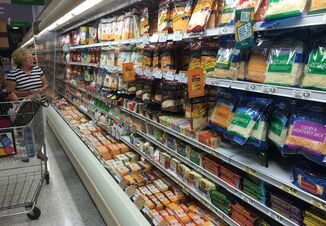 Cheese, the product with the largest imported value, accounts for over half of all imports on a dollar basis. This year cheese imports totaled about $1.2 billion. Still, the U.S. value of cheese exports increased 21%, which outpaced cheese imports by over a quarter of a billion dollars.